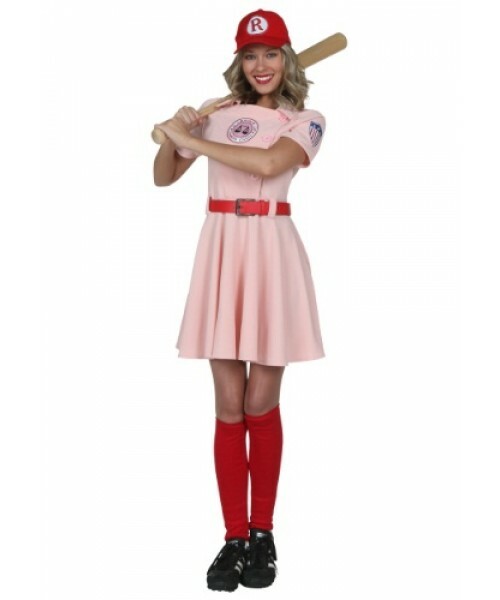 Become the spunky Dottie from A League of Their Own in this exclusive plus size costume. Ready to start a league of your own? You're going to need a star pitcher. We know just the girl that will fit the bill... You've got a nasty slider, and a curve that's out of this world. You just need to get the knack of that change up! With this costume, we have full confidence that you'll be taking the mound with a 4 pitch arsenal. And if you just want to look the part, that will work too. Take over the diamond or the costume party with this throwback look!